Now, with break-through technology, it is possible to treat the root cause of your dry eye symptoms by unblocking the Meibomian glands. Herzig Eye Institute is the first in North America to provide this break-through technology. Treatment involves relieving obstructions of blocked eyelid glands by applying a combination of localized heat therapy and pressure. The LipiFlow® Thermal Pulsation System is a significant technological shift in Meibomian gland dysfunction treatment, effectively relieving blockage of the eyelid glands during a comfortable in-office treatment. Opening the blocked eyelid glands allows the body to resume the natural production of lipids (oils) needed for the tear film. Most patients who have the LipiFlow® treatment feel relief of their symptoms within four weeks and sometimes even sooner. Blepharitis: Frequently, bacteria on the skin and eyelashes can cause a condition known as Blepharitis. Blepharitis is a persistent and common inflammation of the eyelids. This condition, if left untreated, may cause permanent damage and dysfunction to the natural glands of the eyelid that are meant to keep your eyes moist. Traditionally, this condition can be difficult to treat due to its recurrent nature. Meibomian Gland Dysfunction: The meibomian glands of the upper and lower lids play one of the biggest roles in dry eye symptom management. These glands produce specific lipids that coat the tears and prevent them from evaporating. 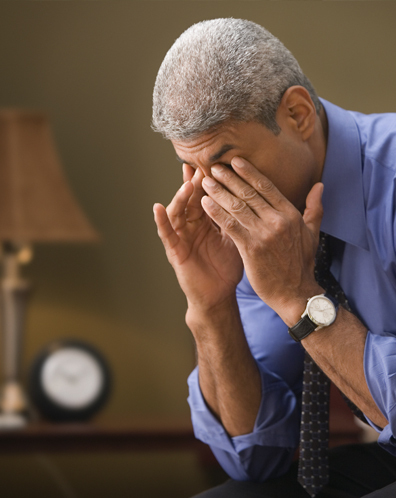 Studies show, that approximately 65 % of dry eye symptoms are caused by a dysfunction of these glands! Over years, these glands can get obstructed with bacteria, cholesterol, debris, allergens and even make-up. For years, patients have been treated with hot compresses to help loosen up this obstruction. However, in most cases, this treatment has provided minimal relief. WE HAVE A BETTER SOLUTION! The LipiFlow® Thermal Pulsation treatment may reduce the need for drops, warm compresses and other cumbersome, time-consuming efforts to temporarily ease symptoms. Imagine: Just a short time after a successful treatment with the LipiFlow® system, you may go long periods of time without thinking about your eyes at all, just like most people do. You may no longer have to plan your day around your symptoms. Coworkers may no longer stop and ask you why you’ve been crying. After a few weeks, you may even start to forget about how much the condition was controlling your life – the constant drops, the hot compresses, the limits on how long you could sit at the computer or wear your contacts. Months later, you may no longer worry about being outside on a windy day!